This article is a pre-view which will be concluded as soon as we get our hands on a commercial unit!!! This is not a full review, please, take note!!! 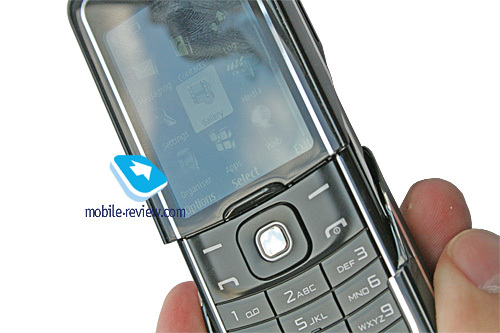 In October 2006 we wrote – “Basing on the current situation on the market, we are to expect the next renewal of the Nokia 8800 in the summer 2007. 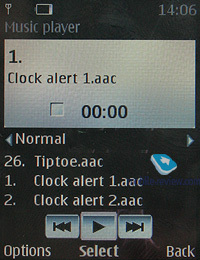 Apparently, the device’s main features will be stereo-out, updated software (FP1 or 2 for S40 3rd edition)”. 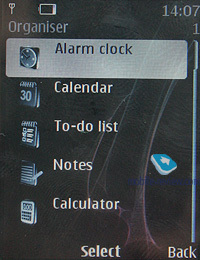 So, it is summer already and just about time to meet the Nokia 8600 Luna. 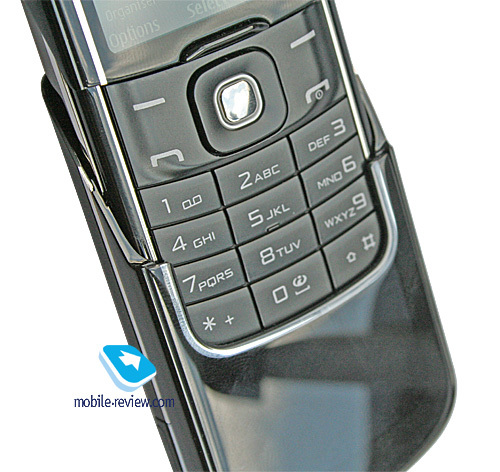 One of the most sought-after handsets in the premium market today is the Nokia 8800 in all its editions and variations due to a simple reason – it is pricey and has a quaint design. The 800-1000 Euro price-bracket features no competition for it whatsoever, even with all its technical letdowns, such as mediocre battery life, meagre functionality, people are still buying it. The model is so vastly popular that waiting for a new Nokia’s device grows into some kind of sport. 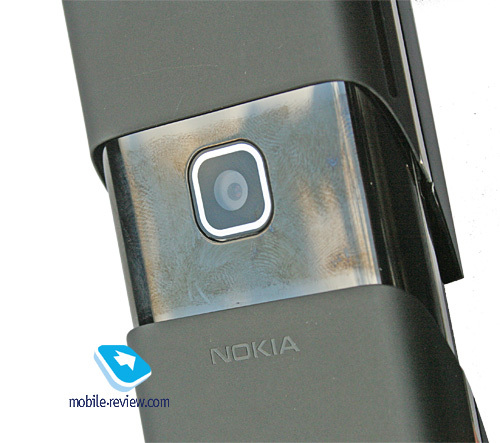 Many owners of the Nokia 8800 are ready to throw it away in favor of other solution, which would have metal casing, design that nobody would possibly miss and the price living up to the owner’s status. 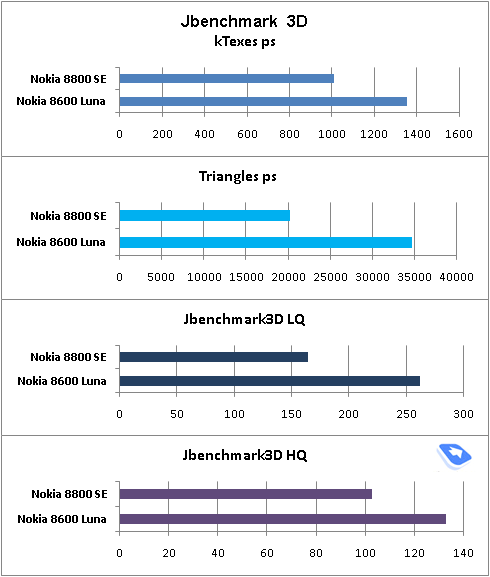 The debut of the Nokia 8600 Luna for Live Premium category would seem to be a response to the consumers’ expectations, but in the end it is not all that simple. 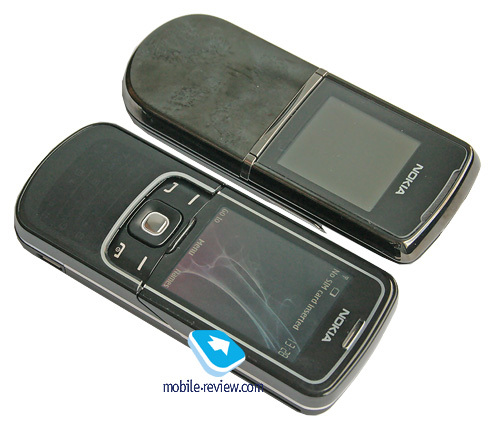 The 8600’s price tag is lighter than the Nokia 8800 SE by almost 250 Euro. Keep in mind, while cheaper it totally overwhelms the latter functionality-wise, sports more palm-friendly dimensions and so on. So what this price is all about? Very simple – this solution is slightly lower on the status ladder, that’s it, the Luna is a mere addition to the 8xxx line, rather than its flagship. Those feeling an urge to replace their Nokia 8800 with it, may go on and do that, but it would be a shame to shell out for Nokia 89xx Classic, or something in the near term. Within the range, the Luna finds its place below the Nokia 8800 Sirocco Edition, you should think of it in somewhat different way – this is also indicated, albeit indirectly, by missing unique ring tones, like those the Nokia 8800 and the Nokia 8800 Sirocco Edition show off. Well, then we are waiting for a phone which has already had these tunes created, and for now, let us break down the Nokia 8600 Luna. “Luna” isn’t the product’s codename as many thought long before the official announcement, it makes a single whole with the index. 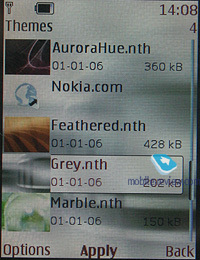 Nokia has picked the way of personal names for many solutions, at that, milestone offerings get unique names, while series or categories are named after the segment. 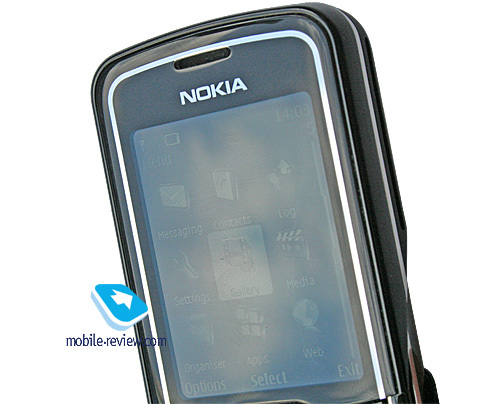 The latter is characterized, for example, by “Classic” – there are the Nokia 6500 Classic (and the Nokia 6500 Slider, which is a totally different model) and the Nokia 3110 Classic. In some respect, this is similar to what Sony Ericsson makes for its line-up, yet over there they do it basing on functionality, which means that Walkman name comprises only music-minded phones. “Luna” comes from the Greek history – it is the goddess of the moon light, who was frequently identified with Selena. The history has much to tell, and the Greek myths are the perfect read for those curious about what happened to Latona and her daughter from the Sun and why Luna’s love to Endymion the shepherd was so sad. Ever since Luna has been recognized as the ideal helper in charming the loved ones, as in its light they gain special strength. Selena, when she came to mortals, caused languor in their hearts, her eyes were drawing beautiful pictures with light and the sea was close to spill out its waves onto the shore. This goddess was special, and it seems it is the sparkling of the moon light that they have tried to reflect in the Nokia 8600’s name. Our history has many surprising turns, for example, despite a stunning victory of the church over paganism and the Greek Gods, today we speak about them even without noticing. The Goddess of the Moon is honored by us every Monday, it is her day, actually. In Latin this day is called Lunae dies, and the French, as the most similar-sounding language, puts it as Lundi. In English it as morphed into Monday (moon day), in German - into Montag. Other weekdays are also named after various gods. 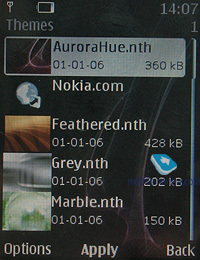 Basing on this, we can delve even deeper and try to find the depths of the Nokia 8600 Luna’s name. This device is devoted to a goddess, and what a goddess she is! In some ways, that’s why this handset feels more feminine than the Nokia 8800. It won’t come as a big surprise for me, if other gods will become names for the products coming from the 8000-series. Which sounds not bad at all – the “Divine line-up”. 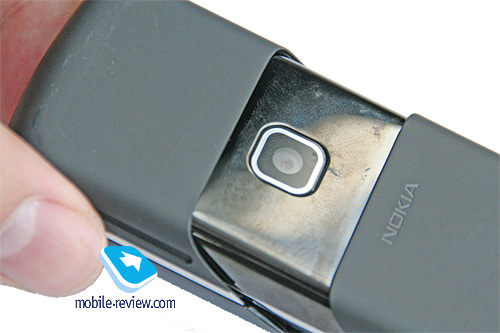 The stumbling block for the Nokia 8800 was its pathetic battery life, which was directly affected by the metal casing, since it took a lot of energy to beam a signal out of it. 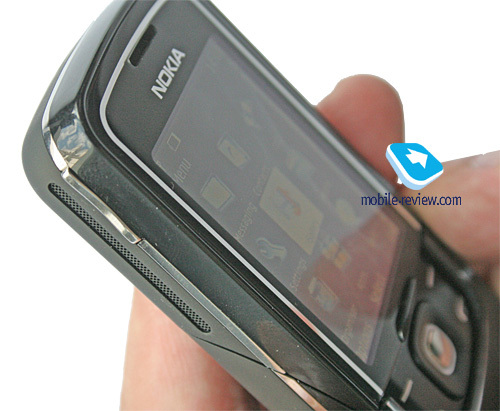 And struggling for more hours without changing materials was not possible, and that’s exactly why the Nokia 8600 utilizes glass finish. 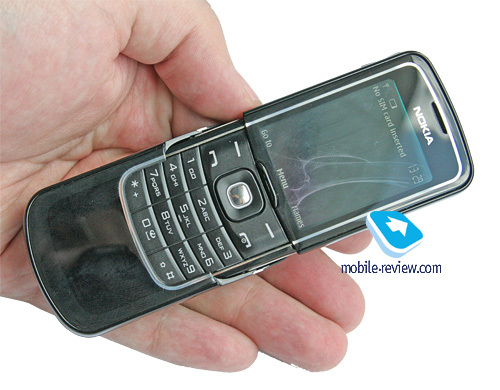 The bottom part of the slider is made of hardened glass, although at first you want to believe that it is stainless steel, which is so Nokia 8800. But when it starts ringing, you instantly see the keypad glowing underneath. Figuring out how strong this glass actually is, doesn’t seem possible, as for that we might probably need a hammer, but thankfully, when dropped, the Nokia 8600 doesn’t let you down. 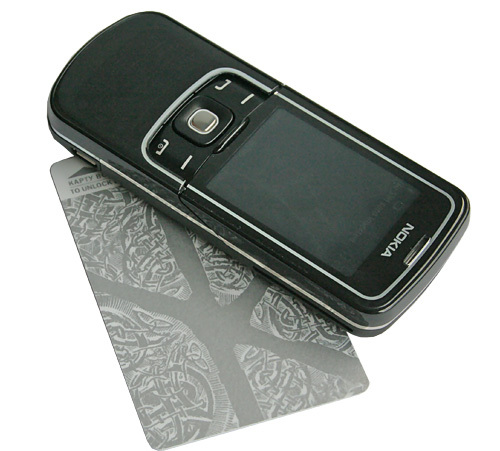 So for, Motorola has been the only company to employ glass in its models, specifically in the Motorola KRZR. Though the difference lies in the fact that in Motorola’s solutions, this glass just covers the display and serves decorative purposes, but here it is a part of the casing, at that, a moving part. 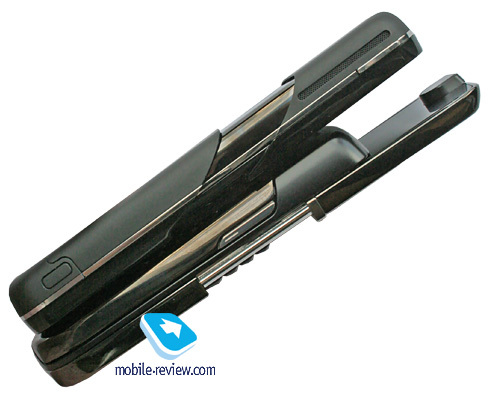 Though, technically it is the handset itself that moves, while the cover remains on its place. Undoubtedly, we have to wait until the first reports of the Nokia 8600 users on the glass durability, but speaking of today, there are no negative prerequisites, so I guess it will do just fine. The main chassis part is made of stainless steel, though with matte finish, which really doesn’t feel like this type of metal. It is some sort of powder that has been spread all over the surface, so that now it is a tad rough to the touch. 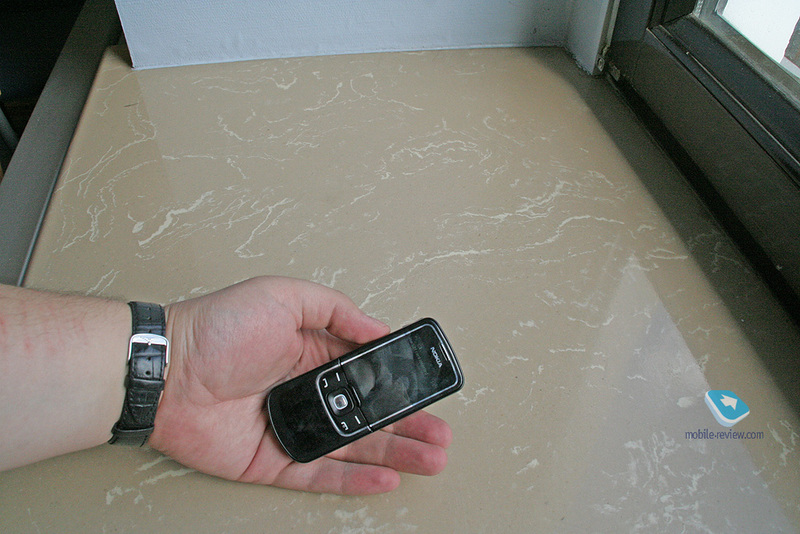 This is an obvious difference from the soft touch finish, that has been all the rage lately; and the reason behind this coating is that they wanted to make the casing as smudge-resistant as possible. Indeed, the rear hardly picks up finger prints or grease from your hands, whereas the front fascia is a real magnet to for smudge, making you take out the velvet cloth, that comes boxed with the Luna, quite often. At present there aren’t too many models out there that enjoy the same casing texture, the only thing that came across my mind was Mobiado Luminoso, where powder covers the aluminum casing. 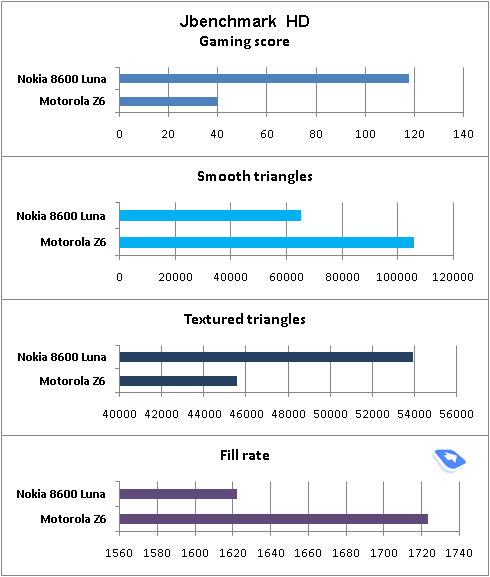 Curiously, these two models are technically share much, being based off the well-known Nokia 6233 and having nearly identical suites of features (let us put it this way – the Nokia 8600 is marginally better in terms of functionality). 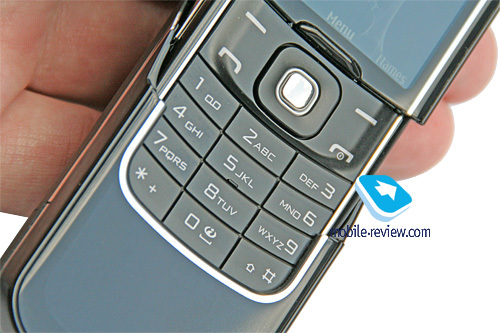 The design elements of the Nokia 8600 are brilliant, styling it up and giving the phone even more shine, are the loudspeakers’ metal grills and the chrome-coated volume rocker. 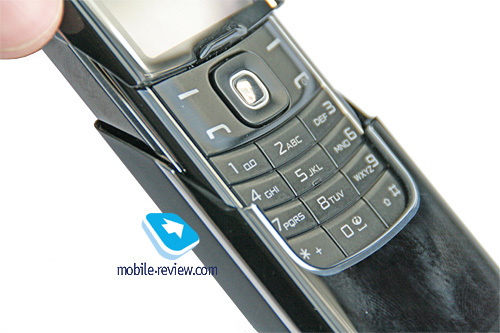 The build quality is not something we would ever complain about in the Nokia 8600 with its well-adjusted parts. In hands, it looks like a very solid bar. 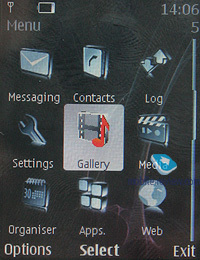 As of today, it seems that Nokia 8600 will be available only in black – the glass here allows us to make a guess that there are certain problems with making up other color schemes, but if the manufacturer does find the way to bring them to the market, they are more likely to boast flashy colors and the status of unique offers. 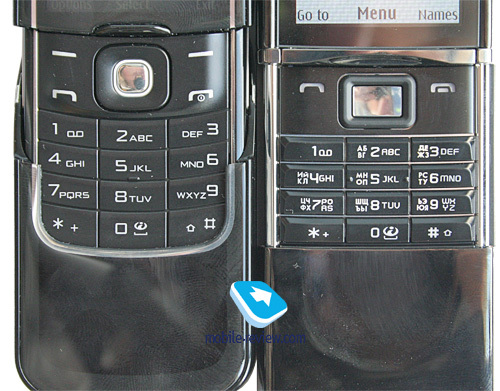 For example, look at the Motorola KRZR’s color, which looks the way we see it now all thanks to the glass finish. If you want to make sure, that the casing is made of stainless steel, then there is only one way to do that – remove the battery cover. The locker is placed on the left spine, so having pressed it, you just move the lid down. Basically, everything will go fine even with the handset closed, but putting the cover into its place is possible only when the phone has been flicked open. The 8600 measures up at 107x45x15.9 mm and tips the scales at 140 grams. 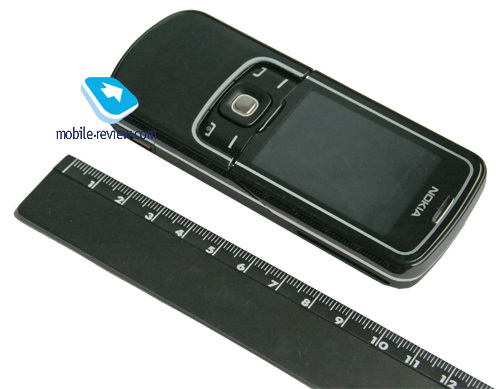 Compare, the Nokia 8800 has the following dimensions and weight: 107x45x17.5 mm, 138 grams. Though even with that said, they don’t feel any different from each other, and you can drag them along in any desired fashion, be it a short pocket, trousers or bag. 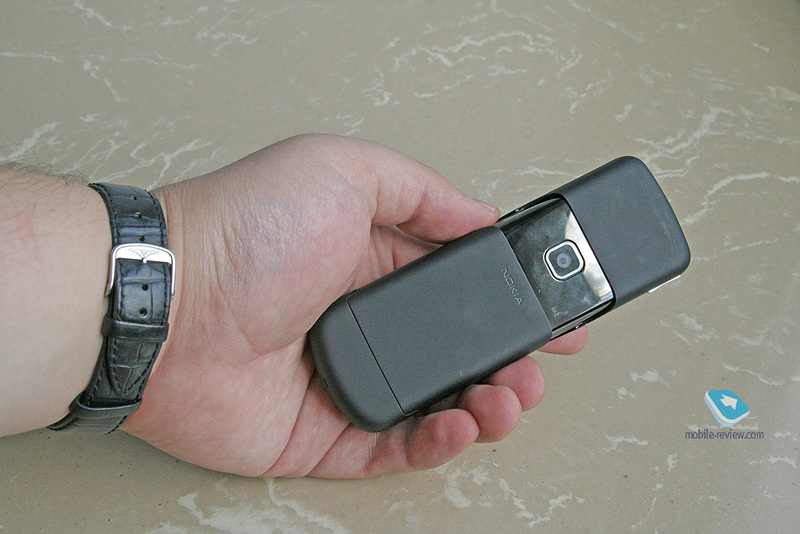 What is more interesting is quite different size of the phones – slid open, the Nokia 8600 is about 0,5 cm shorter, which doesn’t hurt its usability, though. 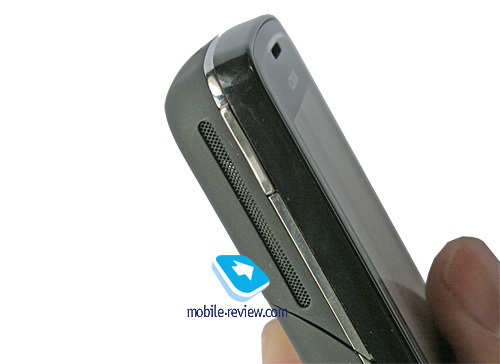 They managed to trim these millimeters off with the help of the dip on the sliding part, which the Nokia 8800 lacked. At that, while the display has improved over the predecessor, keypad ease-of-use hasn’t been sacrificed, as it is just the same as we remember it size-wise. The slider mechanism works well, the halves slide with ease and at that assisted by the spring mechanism. 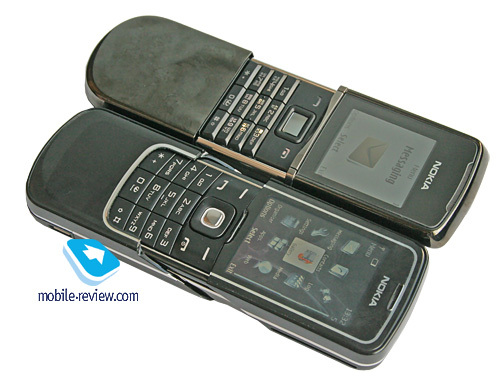 Unlike the Nokia 8800, this one doesn’t product that metal click upon opening; it makes less noise when being zipped open. 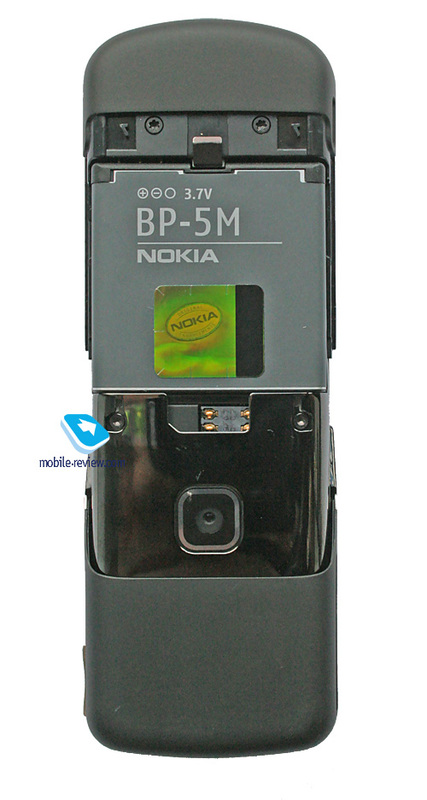 The handset makes use of a Li-Pol 900 mAh battery (BP-5M). The maker rates the battery life for 10 days of standby and 3,7 hours of talk time. 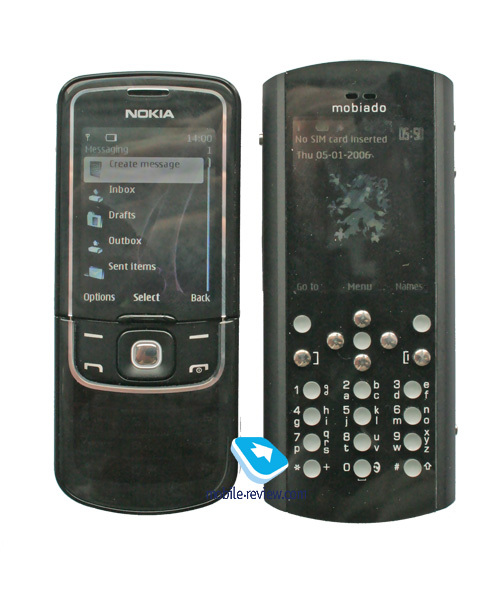 Similar specifications were given to the Nokia 8800 SE, but then, in the real-life, the cell lasted only one day. 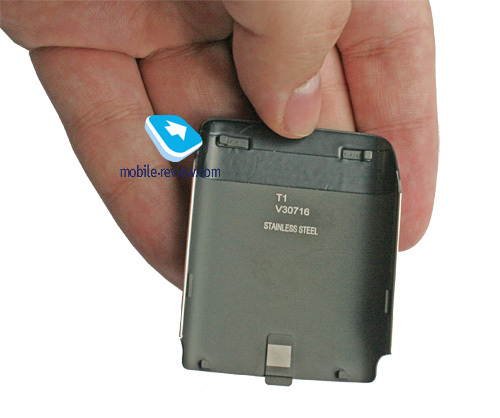 However over there it was a 700 mAh battery. Increased battery capacity, different materials used – all this has taken effect on the battery life, yet doesn’t make all the difference. 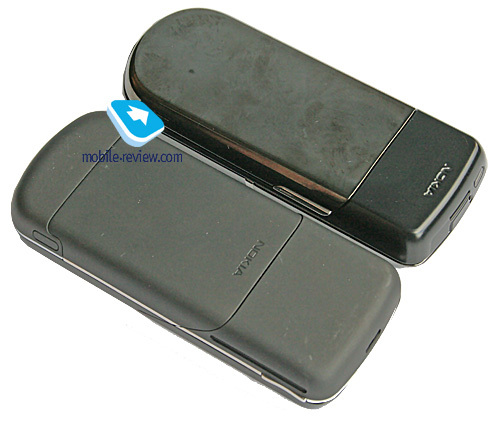 The device lasts about 10 percent longer than the Nokia 8800 SE when put under the same load (calls, SMS-messages, etc). 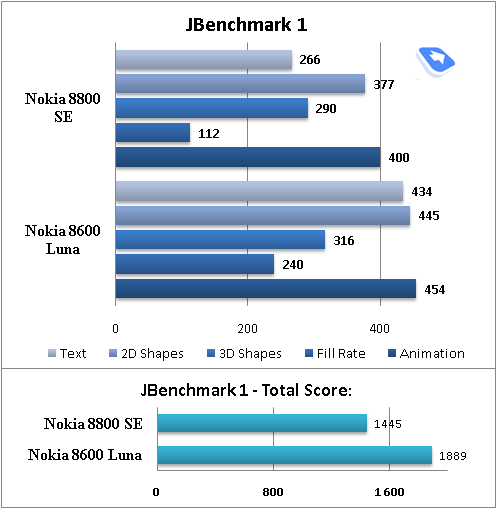 And if you remember that Nokia 8800 SE improved over the Nokia 8800 by about 10 percent as well, these figures will look pretty Also, don’t forget that the display found in the Nokia 8600 is substantially bigger than in the previous device. 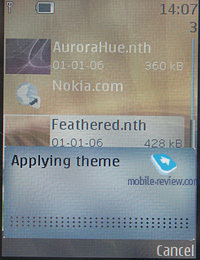 The Nokia 8600 utilizes a QVGA display, powered by TFT technology (16 mln colors, which are all bright and vibrant) with a resolution of 240x320 pixels (diagonal of 2 inches, 31x41 mm). The manufacturer hasn’t included any type of backlighting adjustment, i.e. the screen is always evenly backlit, which allows saving a bit of charge. 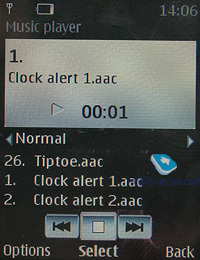 Nevertheless the user is enabled to choose standby screensaver and backlighting mode (on/off) – in the latter case, if the backlighting will be turned off, the information will remain visible indoors but only at certain angles. Apart from that you can completely switch off the screen, so that it will turn black with no information being displayed on it. In light of the screen having a mirror layer, it doesn’t fade in the sun and ensures that all data will be still readable. The fuss around the display utilizing OLED-technology is groundless and has been initiated not without the help of incompetent journalists of the British T3 magazine (these notes are shown in the video clips, along with 1 Gb of inbuilt memory). 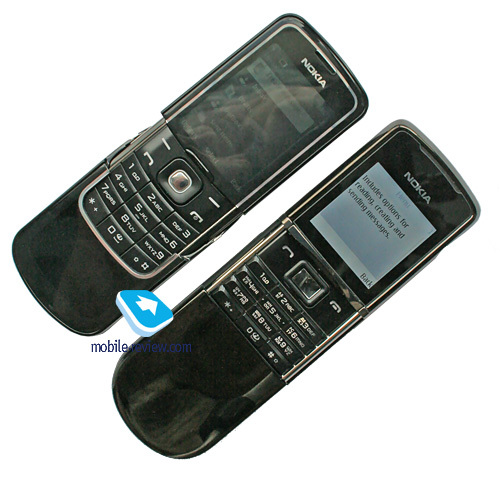 The handset comes equipped with 128 Mb of onboard memory. 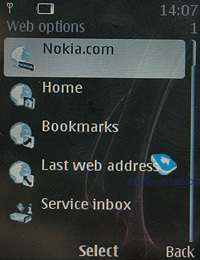 Technically, the 8600 is no different from Nokia 6233, they share every last thing up to the bits and pieces. 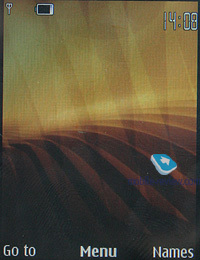 This way, it runs S40 3rd edition Feature Pack 1, which automatically means it carries a standard suite of features. USB. 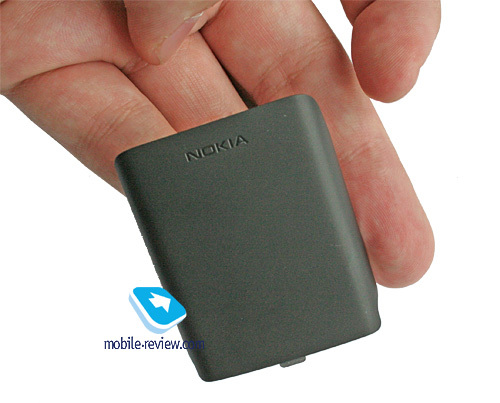 The Nokia 8600 employs the microUSB slot, which is a bit slimmer and thus differs from the miniUSB we all have gotten used to. In the near future microUSB will become a standard solution for household appliances and the handsets in particular. Nokia also has plans for putting this socket into own devices in mind. Though, these days, it is quite a challenge to buy the microUSB cable from retailers, not to say next to impossible. Such cables are included into sales packages of some MP3 players, but that’s about it. 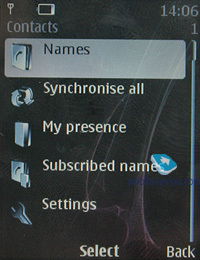 Upon successful connection you can pick one of the following modes: USB Mass Storage, PC Studio, or modem mode. Depending on what you have selected, the battery starts charging up. 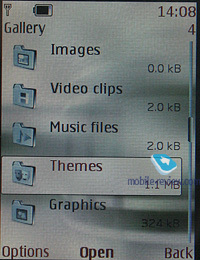 There is no support for MTP mode, music tracks have to be moved onto the phone manually. The Bluetooth implementation is, as always though, nothing to complain about, we encountered no issues with handling this type of connections. The stereo-headset also works fine. 2.5 mm jack. I really don’t know where the conclusion on the 2,5 mm audio jack comes from, probably, from the headset specifications, which hasn’t changed its number, but its plug has morphed into microUSB. The 8600 houses only one socket for all connection types, no stand-alone slots for headphones are implemented. 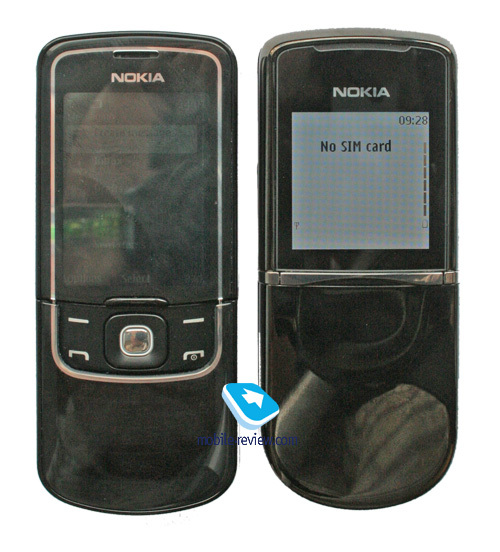 Being a typical phone for S40 3rd edition FP1, it performs pretty much like the Nokia 6233, though is quite different from the Nokia 8800 SE. The interface proves to be sufficiently speedy, nothing we would complain about. This handset has 2mpx camera (CMOS) which is not that much by today’s standards, but it is still pretty much sufficient. 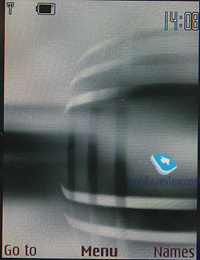 Nokia has decided not to bet on the camera part, it is more of an optional feature here. This is why camera’s module picked for 8600 is one of the cheapest units out there, and provides average quality, if not to say meagre. Shutter sound can be disabled, there is 8x digital zoom, but there is no reason to use it. 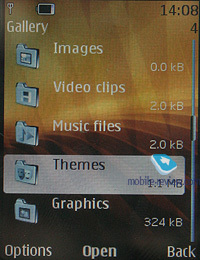 You can save photos in the internal memory. Video. 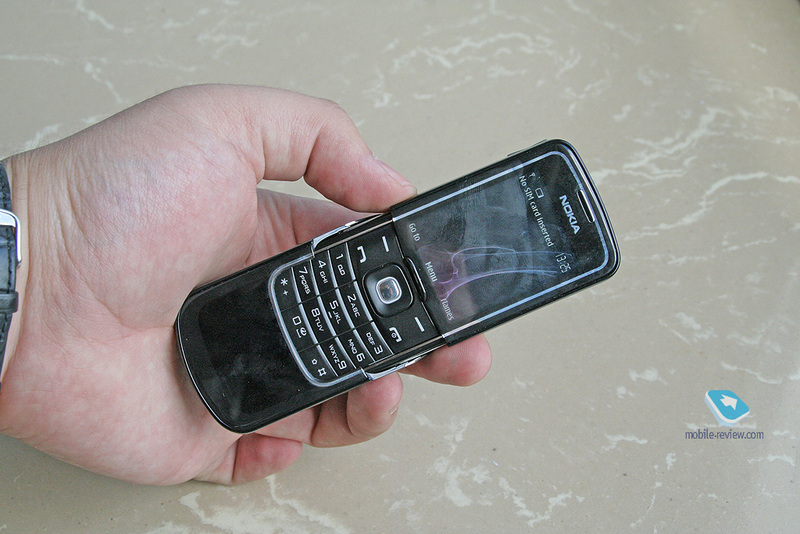 Handset allows recording video in 3GP format, available resolution – 128x96 pixels, or 176x144. 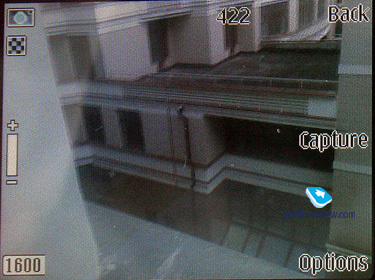 Recording quality is divided into three parameters. You can limit recording’s length, but it also can be limitless, until memory runs out (internal memory). Effects can be applied for video just as they can be applied for photos, they are one and the same. 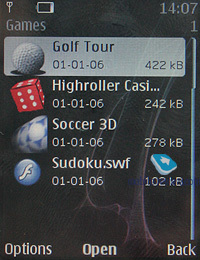 The handset comes pre-installed with four games, - High Roller Casino, Soccer 3D, and 3D Golf Tour. 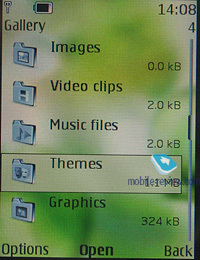 The user can install own application, yet has to observe the size limit for a Java-application, which makes 1 Mb. 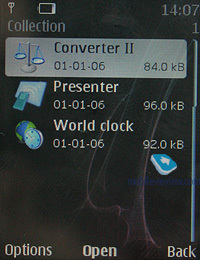 The application menu comprises such programs as Converter II, World Clock, Presenter. .
Also, the Luna comes preinstalled with 7 very unique themes. The model has already hit CarphoneHouse and in July will arrive in stocks of other major players in other countries. 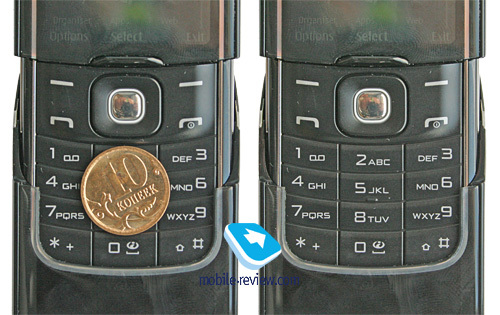 The 8600 will cost you about 700-800 Euro, which is cheaper than the Nokia 8800. In terms of build quality and materials used, however, this handset is beyond competition today. 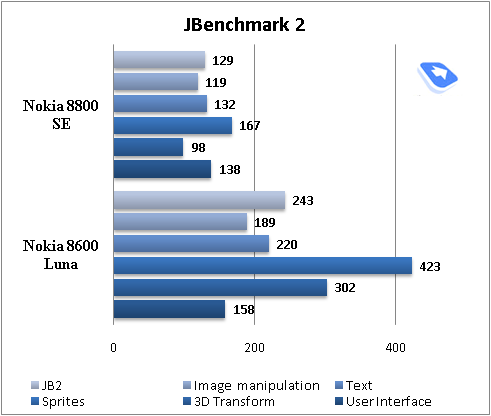 In view of how popular all editions of the Nokia 8800 are, make no mistake about that – the Nokia 8600 Luna will be a bestseller on the market. Less hefty price tag comes from missing desktop stand and second battery in the package. 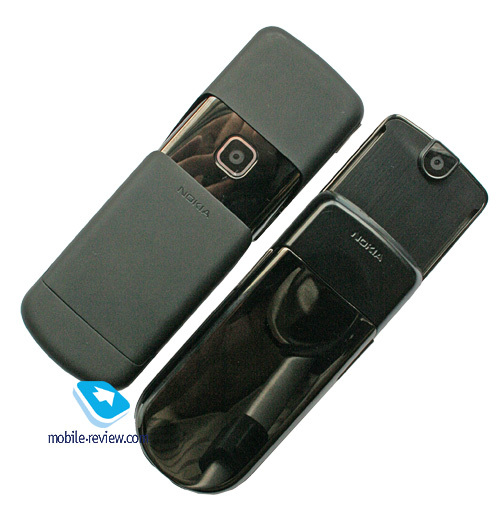 At the same time, the Luna has turned out to be a more feminine handset; so while the Nokia 8800 is sought-after among men, this device might go an opposite way. Undoubtedly, it has been styled as a unisex phone, but for some reason, we can’t help it but say it will fit women best. I don’t know why this is so, but anyhow, perhaps it is the first device since the Nokia 8810 to provoke such feelings.